(FASTNEWS|COLOMBO) – Cabinet approves to allocate Rs.250 million to compensate farmers who are affected by Fall army worm (Sena caterpillar) plague. 45, 000 hectares out the of 80,000 hectares of maize grown in the country, have been destroyed due to the fall- army worm. 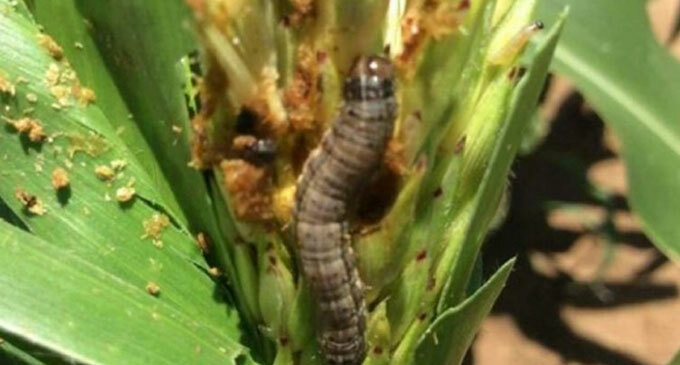 The department of Agriculture has stated that they suspect that the “Fall – Armyworm” may have been introduced to the country last September. Assistant Director Sanath M. Bandara at the Gannoruwa National Agriculture Information and Communication Centre, made the statement at a media briefing in Kandy yesterday (21). However, the All Island Agrarian Federation Secretary P. B. Sarath charged that the pest had been introduced from America.